Leader of the Liberation Tigers of Tamil Eelam (LTTE), Mr. Velupillai Pirapaharan, told the Norwegian Deputy Foreign Minister Mr. Vidar Helgesen that the LTTE will remain committed to the peace process and to the Cease-fire Agreement (CFA) with Colombo, Mr. S. P. Thamilchelvan told TamilNet following the meeting between the LTTE leader and the Norwegian team. “Mr. 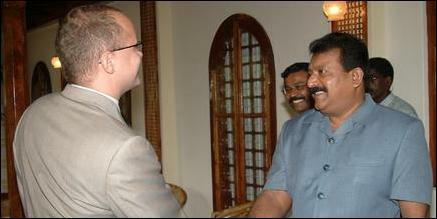 Pirapaharan told the Norwegian delegation that unity regarding the peace process should emerge among the leaders of the south; That the LTTE has to be clear as to whom they can continue the peace talks; That the crisis and confusion in the south has undermined the trust the Tamil people had in the peace process," Mr. Tamilchelvan told TamilNet. When asked if the LTTE’s proposal for the Interim Self Governing Authority (ISGA) went beyond the limits of the Oslo declaration, Mr. Thamilchelvan said: “The Oslo Declaration did not clearly define powers. But the ISGA proposal does. 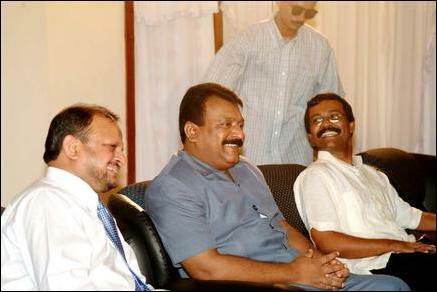 The ISGA is a realistic proposal, which includes provisions that satisfy aspirations and needs of the Tamil people. It is a practical proposal”. Meanwhile answering questions from the press at the Kilinochchi grounds where he was waiting to board the SLAF after the meeting with Mr. Pirapaharan, Mr. Vidar Helgesen said: “There is no time frame for the resumption of the talks. But I must say that Mr. Pirapaharan stated that if it is up to the LTTE they would like to start talks as soon as possible, that they should have started the talks already. He (Mr. Pirapaharan) squarely said that it was a matter for the south." 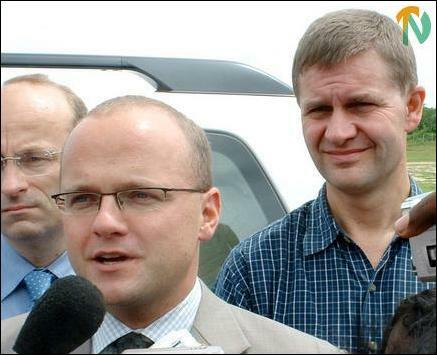 “We had a very good meeting, constructive talks for the prospects of the peace process," Helgesen said. Responding to a question as to when talks would resume between LTTE and the Sri Lankan government he said: "That has not been decided yet. The LTTE has stated very clearly that they would like to see the talks resumed as soon as possible but the situation in the south, of course, is what will determine when the talks will able to start again. “Norway has no stand regarding the issues in the peace process. It has no stand as regards the situation in the south. “We are of course interested to learn what implications the situation now in the south will have for the peace process. We have further meetings with Sri Lanka's Prime Minister and President this afternoon." Commenting on the prevailing situation in the South, LTTE's Peace Secretariat website said, "... the LTTE will remain committed to peace. The Ceasefire Agreement being the bedrock of the political negotiations should be maintained in full. The Tamil nation has historical experience of the various obstacles that have appeared in past negotiations and therefore is highly disappointed that this time round, especially with a third party facilitation, the power struggle in Colombo has again brought about an undesirable situation." 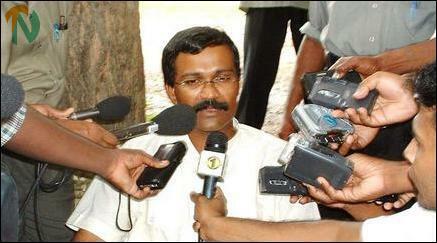 27.11.02 LTTE leader calls for autonomy and self-government for Tamil..